For Supercars star Cameron Waters, winning a national speedway title on Sunday marked a special moment in his motorsport journey with father, Chris. Waters, 23, took home the National Modified Sedan Title at Horsham in regional Victoria, marking his biggest achievement in dirt track racing. 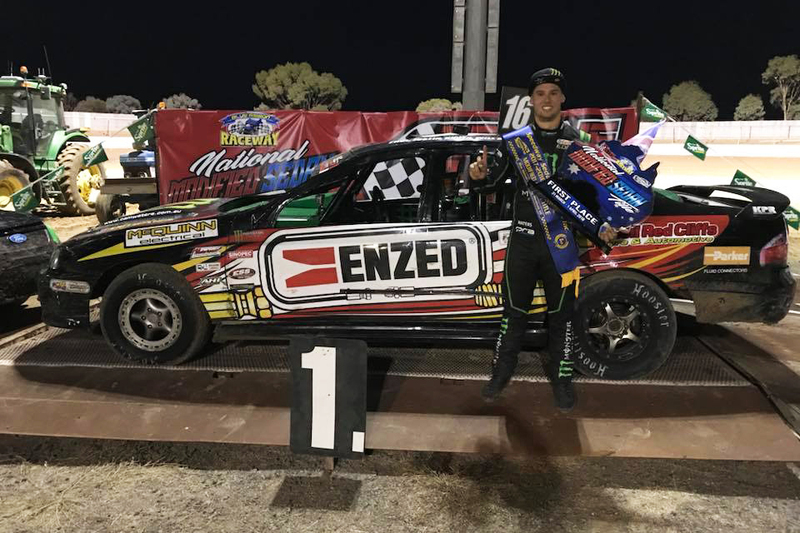 The Monster Energy-backed driver grew up in Mildura watching his father race speedway, providing his introduction to the sport. Chris’ career included finishing third in the National Modified Sedan Title on home soil in 1998-99, before eventually giving up racing to focus on his son’s karting exploits. Cameron progressed through Formula Ford and the Dunlop Super2 Series, winning both titles, before stepping up to the Supercars main game in 2016. He has dabbled in speedway across recent years, winning a South Australian State title in a Late Model in 2015, and joining the Modified Sedan ranks last season. 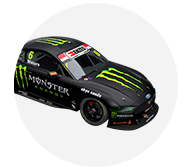 The car, a 400bhp Ford Falcon BA, is owned by long-time family friends Travis and Karen Shore, the former having worked with Chris during his racing days. Cameron was quick to dedicate the Horsham victory to his father, who has been in attendance at the bulk of his son’s Supercars races. “Dad used to race that class and nearly won the Australian title himself, so it’s cool to be able to win it for him after he came so close,” Waters told Supercars.com. “It’s a great connection with the car owner, Trav, as well. We’ve kind of got his crew back together, which makes it even more special. “A fair few people who Dad used to race are still around, racing with their sons as well. “I used to go to a fair few speedway events as a kid to watch Dad race, it’s really what got me into motorsport in the first place. “It’s only natural for a kid watching his Dad race to want to have a go yourself. It’s the reason why I got a go-kart and why I fell in love with the sport. 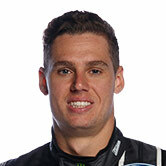 Waters races the Enzed-backed Falcon mainly in Victoria between Supercars commitments, with at least one more outing planned before the end of the speedway season. While keen to one day sample a sprintcar, Waters says he doesn’t have any great ambitions to move forward in the dirt track world. “I would like to drive or race a sprintcar one day, but everything really revolves around the Supercar stuff,” he said. “Racing for Trav and Karen in modifieds is really enjoyable. We just do it for fun and the bonus is getting some more seat time. “It’s very different to a Supercar, but you’re still driving a car to the limit and adapting to the grip level. In addition to speedway, Waters branched out into GT3 racing in February's Bathurst 12 Hour, where he impressed British team Strakka Racing. He also competed in last month's Mint 400 off-road race in Las Vegas, USA, completing a stint aboard a truck following an invite from Monster. Sitting 10th in the Supercars standings after two events, Waters now turns his attention to this weekend’s Tyrepower Tasmania SuperSprint.